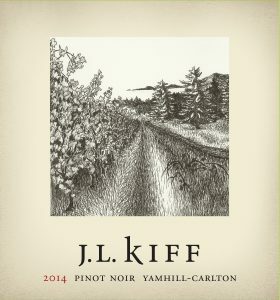 We are Joel and Laurie Kiff and we make delicious Pinot Noir from our 9-acre vineyard, which is located in the Yamhill-Carlton AVA, just northwest of McMinnville, Oregon. By appointment all year. Please call Laurie at 971-237-6745 to arrange your own private tasting and winery tour. Why share the winery when you can have it all to yourself? We love visitors!! 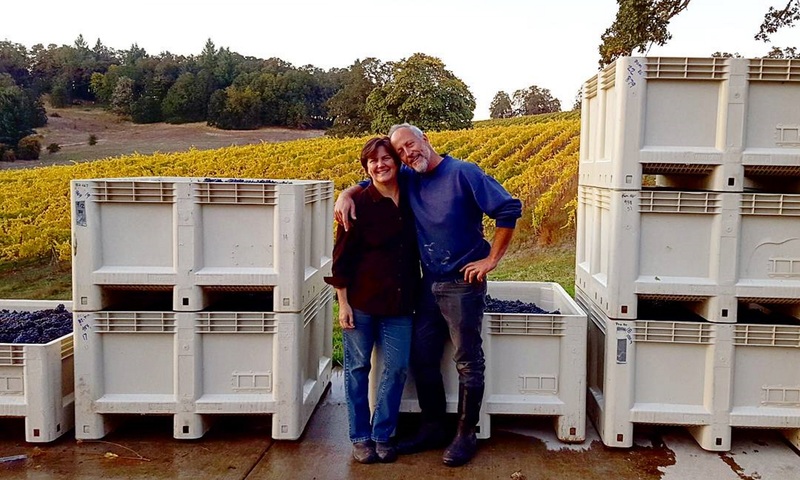 Joel and Laurie (the 'J' and the 'L') farm and produce Pinot Noir (and more) on this hill just outside McMinnville, Oregon. The vineyard is 9 acres. Our winery is a converted pole barn, which is where you can come to taste the wine, too. We are very much a 'Do It Yourself' operation, just like it was in Oregon in the early days. Laurie does the sales and marketing. When you come here, you will not find fancy decor, but the wine is intriguing and you will be served by the people who own and operate the place. J.L. 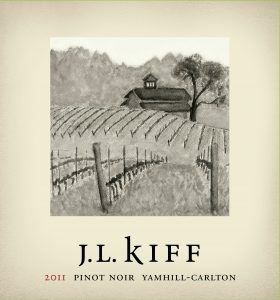 Kiff Vineyard is the closest estate winery to McMinnville, Oregon. The grapes that go into J.L. 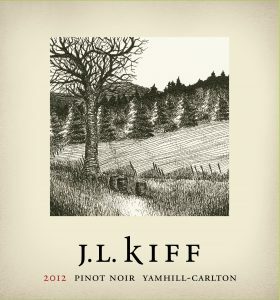 Kiff Vineyard wines are farmed by Joel, who pretty much knows all 9000 vines personally. Our wine can be purchased by contacting us - please email or call and we will arrange payment and delivery. Our Tasting Room is also open Friday through Sunday 12-5 pm at 13546 NW Willis Rd, McMinnville Oregon. You can always call 971-237-6745 to set up a private tasting. We are the closest estate winery to McMinnville Oregon. Our inaugural vintage. The vines were in their 5th year. The growing season was fairly cool, which produced wines with a balance of fruit, acidity, tannins, and a little spiciness. Brix 24. pH 3.3. Harvested Oct 22. 130 cases made. This wine is now in Library status. 2011 was an unusually cold summer, which yielded wines with amazing aromatics, lighter body, and moderate alcohol levels. 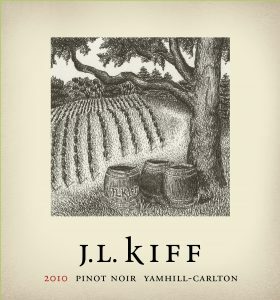 If you are a fan of the cooler vintages, this year was our last example of one. 210 cases produced. The 2012 growing season was one of the most ideal in recent memory. Plenty of warm days with a perfect cool-down in the fall months. The clusters were small (due to the cool 2011 summer), resulting in more body and flavor concentration. There is a small percentage of whole-cluster fermentation in this wine. 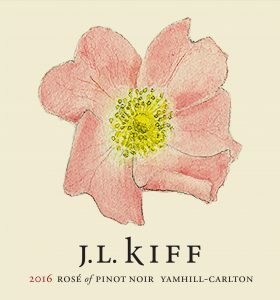 The 2014 was made using an unusually high percentage of Dijon clones, resulting in a more obvious red fruit component than we usually taste. The clusters were large, producing a lighter bodied wine as compared to other warm summer vintages. A rose with plenty of flavor and color, yet crisp and refreshing like a white wine. You should still serve it chilled. A gorgeous deep pink color created by leaving the skins and juice in contact for 4 days.